Silicon Valley giants Apple and Facebook, famed for their extravagant perks such as concierge services, massages, in-office haircuts are now adding a new perk for female employees in hopes of recruiting the best from industry’s talent pool. Both the companies have initiated a program through which they will start paying employees who wish to freeze their eggs to delay parenting until later years. Facebook has initiated offering female staff up to $20,000 for the so-called “ocyte-cryopreservation” that will allow them to have their eggs extracted and stored. The expensive process most commonly costs between $10,000 and $15,000, in addition to an extra $1,000 per year to keep the extracted eggs on ice. The flagship social media network is likewise offering help to men who wish to become parents. All staff will be qualified for aid with adoption process, and a “host of other fertility services”, the company announced. Apple, on the other hand, plans to initiate paying for egg freezing from January. The giants are competing neck to neck to attract the most skilled engineers, and retain them for longer periods by taking the pressure off their shoulders by introducing such perks. Generally, women’s fertility goes starts declining after the age of 35, and tends to considerably fall by the time she turns 40, an age when they attain a maximum level of competence. Instead of climbing the corporate ladder to much senior positions, women with plans of parenting wind up getting out of workforce, prompting a loss of accomplished ability. 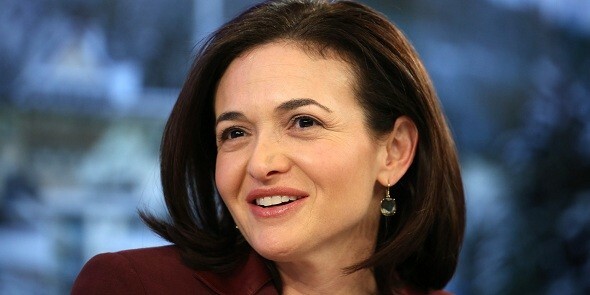 The move goes in accord with Sheryl Sandberg, Facebook's COO, who has since long been a strong supporter of gender equality in the work place. In her book, Lean In, she more than once urged ladies not to cutoff their career decisions to fit around kids, yet to be as goal-oriented as possible. Facebook's egg freezing policy is intended to provide for them more opportunity to do simply that. Then again, it is liable to come in for scrutiny from conservatives who hold the belief that ladies ought to have kids when they are still generally adolescent, as opposed to attempting to fit them around their work. Experts are likewise prone to raise fears about the unintended outcomes of the plan, which could put extra weight on female executives to defer parenthood until later on in their career period.